Fifth-generation Intel Core processors in MacBook Air give you more time to do more things. Add that to an array of other smart and efficient features, and you have an incredible amount of power in your hands. While carrying next to nothing. Thanks to compact all-flash storage in MacBook Air, there’s plenty of room for a big battery. Working together with the power-efficient fifth-generation Intel Core architecture, this battery can post some impressive numbers. 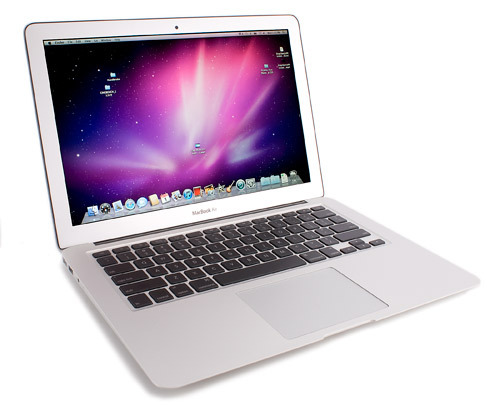 MacBook Air is powered by fifth-generation Intel Core i5 and i7 processors. This ultra-efficient architecture was designed to use less power and still deliver high performance. Which means not only can you do whatever you want — you can keep doing it for longer than before. In addition, the Intel HD Graphics 6000 processor offers advanced performance you’ll especially notice with games and other graphics-intensive tasks.